NV is the owner’s partner in maximizing the return on investment of the property through efficient performance of these four functional areas of responsibility. Our company acts in the best interests of the owner to maintain the property, keep it occupied with tenants, collect rents, budget improvements and maintain records. We are operating within a niche reserved for the more detailed and responsive in the profession. Our team is prepared to act and resolve all contingencies with both efficiency and enjoyment. NV Property Management is a unique destination for real estate investors who are looking for one single place that will cater to all of their needs. We will help you purchase, renovate, rent and even sell your income property. Our expertise is second to none and, most importantly – it is only a phone call away. Our company has come to realize the importance of giving clients the true level of personal attention that seems to be growing extinct in the business world. Our business is all about our clients and their needs. Our business is not just about providing any type of service. We are here to listen to what you have to say, and we are prepared to offer the help you need, on your terms. We are here for you, not the other way around! We conduct a thorough market study, in order to set a rental price for your property, ensuring that you achieve the perfect balance between maximizing monthly income and maintaining a low vacancy rate. We eliminate the awkward tension between owners and tenants. Our firm has developed and implemented tried-and-true systems to effectively collect rent and maintain on-time payments. 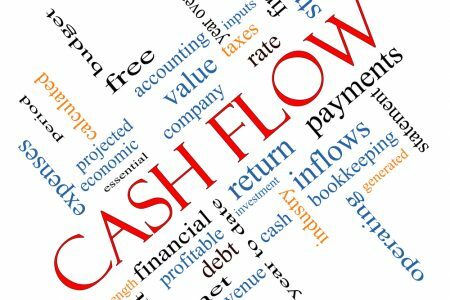 You’ll find this particularly important if you have a limited number of properties, and collecting payments on time is critical to maintaining your positive cash flow. Through experience, we have become acutely aware of where to market a property and how to craft compelling advertising materials – a significant advantage when it comes to filling the units quickly and avoiding long vacancies. We save you the time and aggravation in running showings, having to run all the checks and having to go through all that red tape yourself. Our leasing agents are experts at finding good tenants. They will take care of all the details, including securing background checks, running credit reports, verifying employment and collecting previous landlord references. We manage all aspects of the tenant-landlord relationship. Our team is trained to handle both routine and emergency maintenance, routine inspections and manage any situations where conflict resolution is a must. Our experience enables us to act both rapidly and safely, to ensure a positive outcome for the parties involved. We carefully nurtured and developed robust relationships with maintenance workers, tradesmen, contractors, suppliers and vendors, which are close to impossible for an independent landlord to duplicate. We stand behind the quality of our work and guarantee the best value. If the property in need of an upgrade, we also oversee any necessary construction projects, on your behalf. There is a multitude of applicable laws and regulations to abide by when renting and maintaining your rental property. These include local, provincial and federal regulations as well as other regulations (such as Human Rights legislation). Our team can help you avoid lawsuits, by keeping your property up-to-date and in compliance with these regulations at all times. If you manage your own properties, you’re pretty much limited to investment opportunities within a tight radius of your own home. By teaming up with us, you can leverage our network and take advantage of investment deals in locations across Ontario and the USA. By having our team take care of the day-to-day aspects of running your income property, you free up precious time, and you are now able to grow the remainder of your investment opportunities, further your professional career or just enjoy life.